Used for Home Indoor and Outdoor Decor. 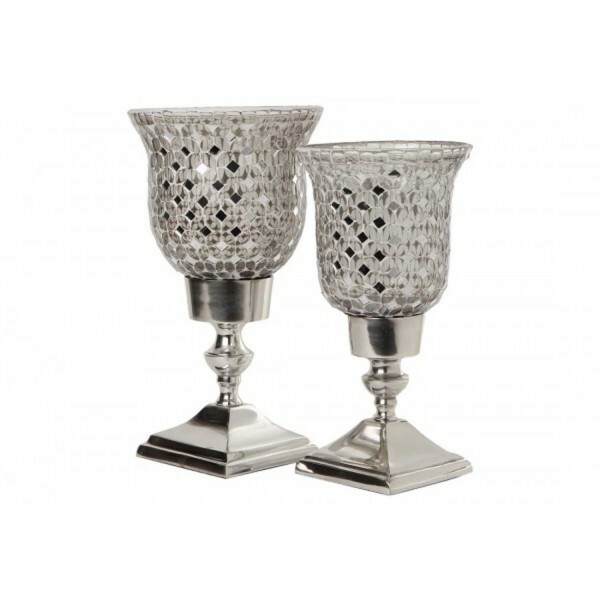 Each glass piece is applied carefully to make these beautiful silver mosaic candle holders. The mirror pieces shimmer in the dark and create a magical shiny effect all around.